October 20th, 2016. On one vivid Thursday night, I came to Le Meridien and enjoyed their lounge alone. I had a dinner date with Adit and Fiona. But before the agenda, I worked on my blog first at Le Rendezvous. 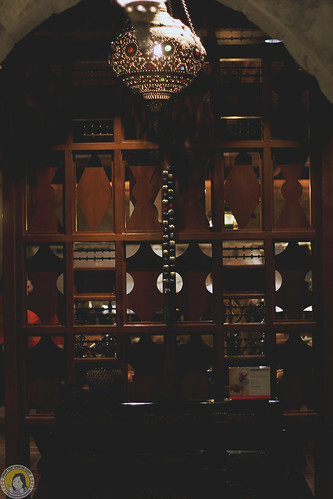 By the way, thank you Adit for inviting me to Le Meridien’s Middle Eastern Restaurant. 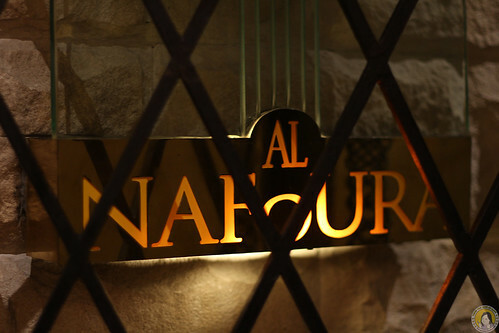 Al Nafoura. 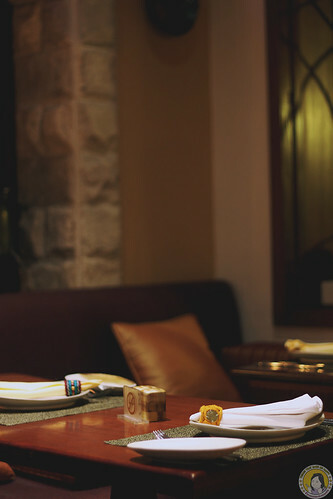 Al Nafoura brings the strong heritage of Mediterranean and Middle Eastern heritage to savoury. Built in two spacious levels to accomplish relaxed, textured sand stone walls and arches, wrought ironworks and terracotta floor are vividly contrasted with richly color hand spun floor rugs, cushions and handcrafted artifacts. 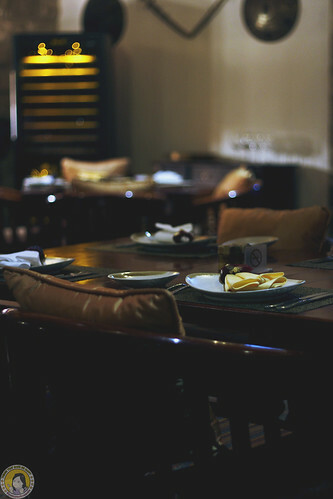 Two private dining rooms also available for special occasions or business meeting. 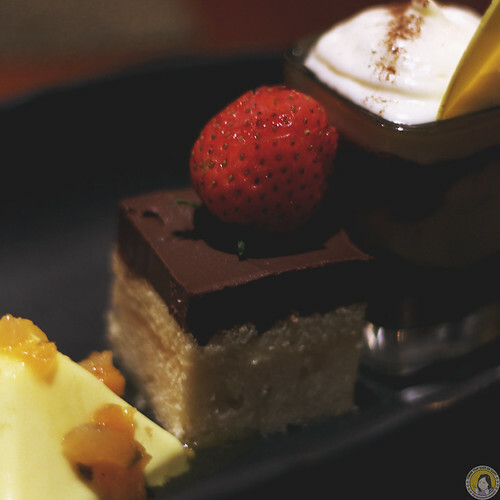 Chef Ahmad Jamil describes the excellent flavour of each dish created by using right balance of natural spices and ingredients. 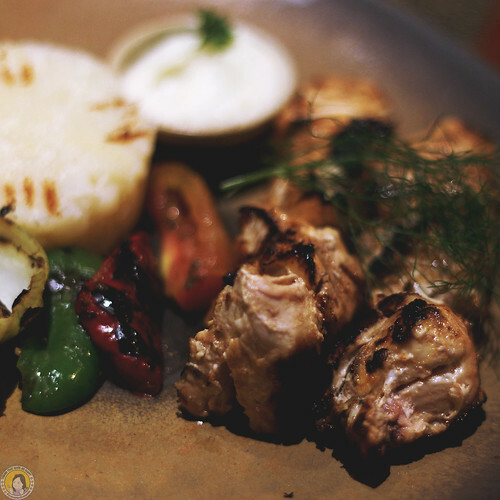 Most of ingredients for Middle Eastern cuisine is close to Southeast Asian food with greatly spices and herbs, but some of spices which cannot be found in Indonesia, such as Saffron and Zaatar still need to be imported from Middle East Country. 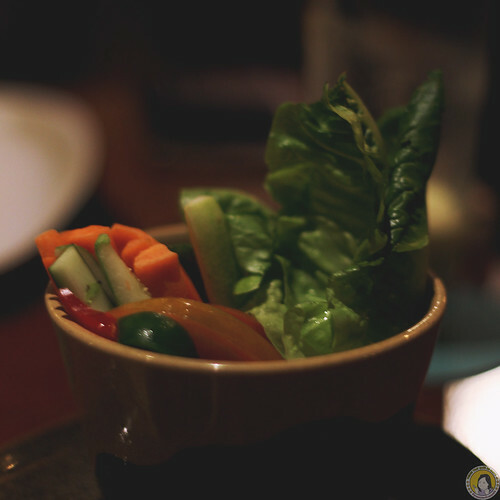 Luckily, in the land of Indonesia is overwhelmed with many fresh vegetable ingredient such as eggplant, chickpeas and parsley. 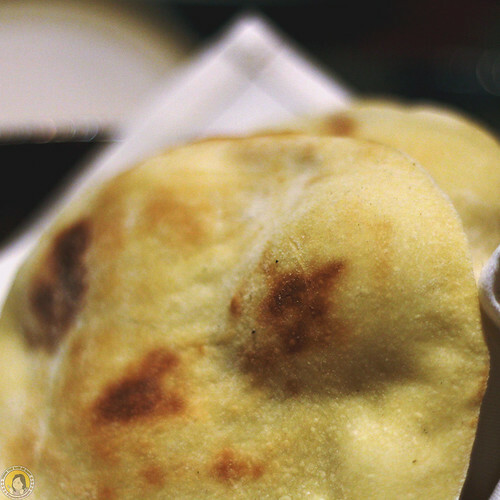 The tantalizing menus feature lamb or chicken Shawarmas, seasoned with exotic spices, yoghurt, olive oil and lemon juice. 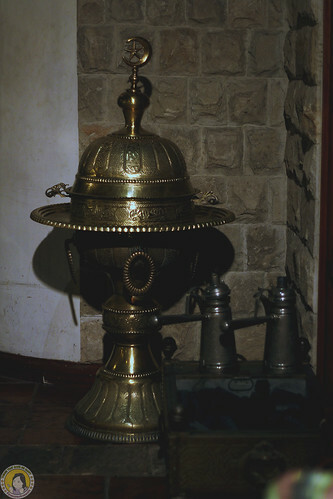 An open kitchen with vertical rotating spit roasting will slowly cooked shawarmas to perfection. 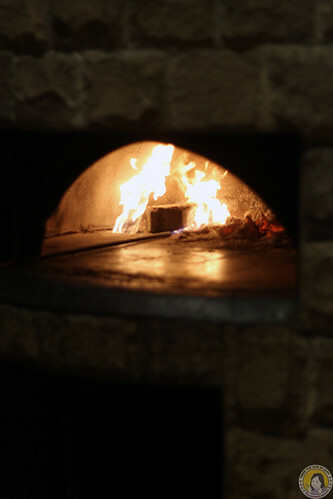 The kitchen also has large wood-fired ovens in which an assortment of breads is baked. 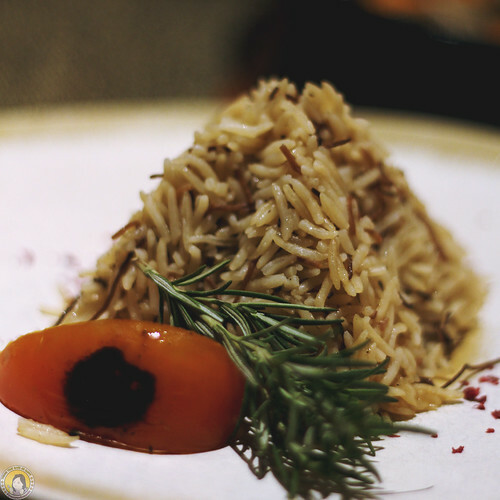 Chef Ahmad also recommends the favourite foods Lamb Ouzi (braised lamb shank Ouzy style served with oriental rice, assorted nuts and yoghurt sauce) or Couscous rna dalah haruf (lamb chop grilled with Lebanese pistachio sauce served with couscous and steamed vegetables). You can also try Salamun Ma Zatoun (charcoal grilled salmon marinated with olive oil, cumin, zaatar and Middle Eastern spices served with roquette salad, mashed potatoes and Zatoun). 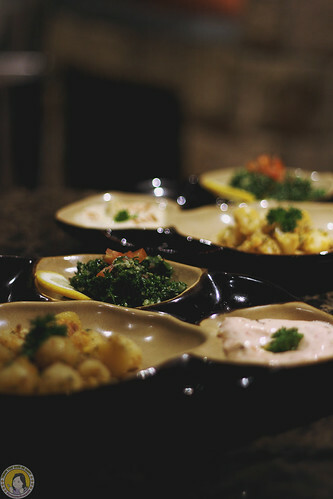 The favourite cold mezzeh or appetizers are Hommos (puree chick peas with sesame paste), Tabouleh (flat parsley salad with tomato and cracked wheat), Babaganough (grilled eggplant salad with tomato and capsicum) and Fatoushe Salata (vegetable salad with toasted pita bread, pomegranate syrup and olive oil dressing). 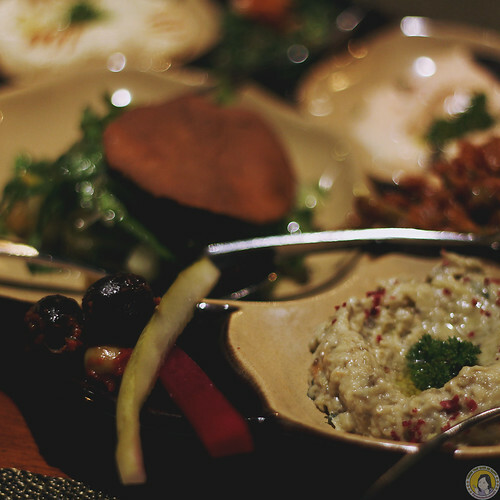 Each mezzeh dish will be nice to accompany every menu. 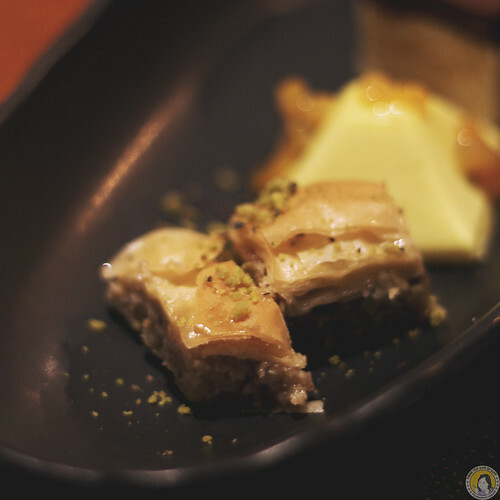 You don’t want to miss the Lebanese dessert Baklawa, the small pieces of pastries baked to the point where its buttery crust melts in the mouth, it mixed with cashew, pistachio served with honey, strawberry sauce and fresh mint or Om Ali (baked pudding of bread, nuts, pistachio, raisins with fresh cream to sweet your day). Not my favourite. If you are my loyal reader, you must know exactly that I never liked middle-eastern appetizers. Thank goodness I asked Fiona to give me a company. She loved everything. LOL. Yaaaaay, thanks to Fiona. The chicken meat was tender and juicy. 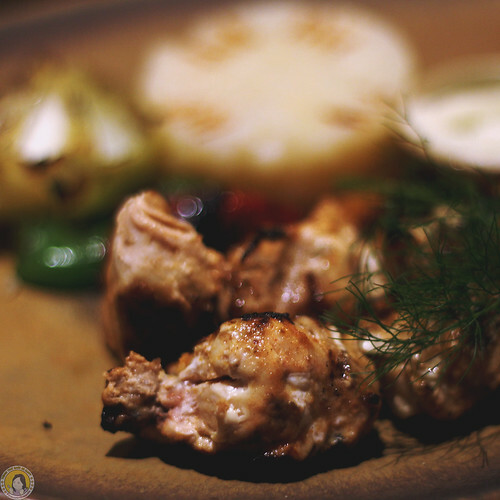 The longer they marinate the chicken, the juicier and more flavorful they are. It’s such a fantastic dish to serve for dinner. Fresh seafood. I ate them all. 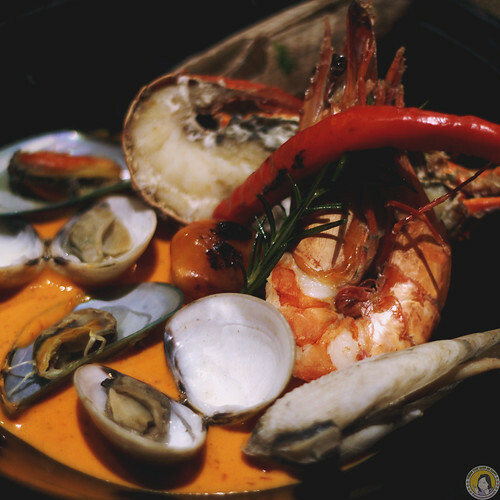 The lobster, prawn, mussels, clams, everything! Well, I shared with Fiona of course. We had to spare our belly for lamb shank. Woohoo! And this one was dabomb! 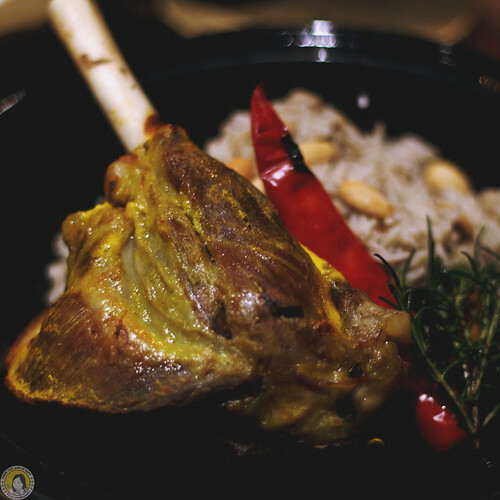 The lamb shank was very tender and juicy, with no ugly smell at all. It’s very big! OMG! It’s really a good thing to bring Fiona. She ate a lot, OMG! Hahahaha. Just kidding. I hope she didn’t read this one. She’ll kill me. Hahahahahhaha. Back to the lamb shank. 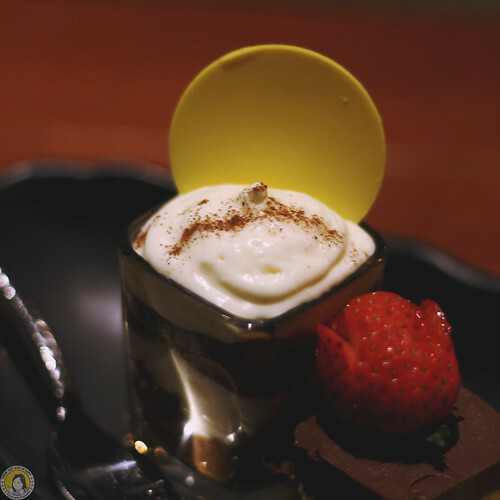 It’s delicious with wonderful flavour and perfect texture. Most recommended! 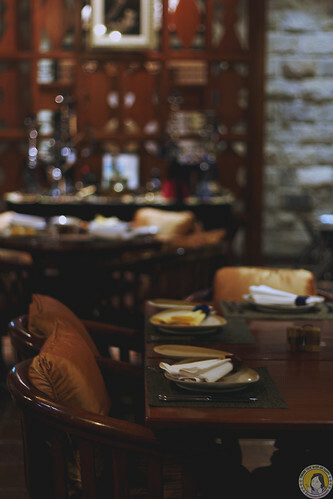 Al Nafoura has an outdoor terrace, a perfect place to enjoy our Shisha and Arabic coffee. On Friday and Saturday nights there is a traditional performance of Arabic belly dancers. 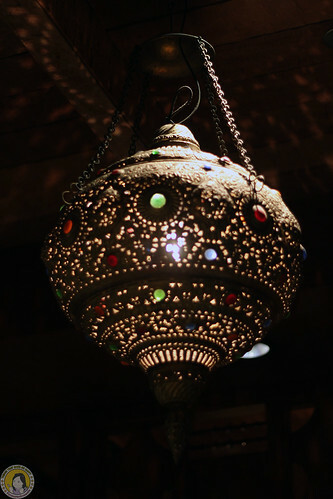 Starting this August, you can also experience our Ottoman and Middle Eastern Barbeque provided only on Saturday night. 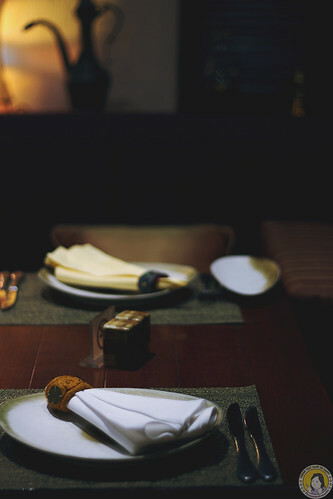 Enjoy the fresh and succulent seafood which includes prawns, crab, fish and selections of chicken, lamb and beef. 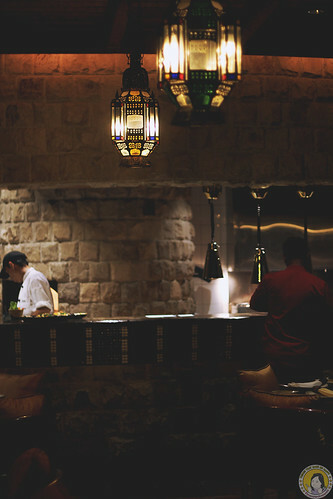 Made-to-order live cooking station showcase a tantalizing array of delectable dining experience with our authentic cold and hot mezzeh. 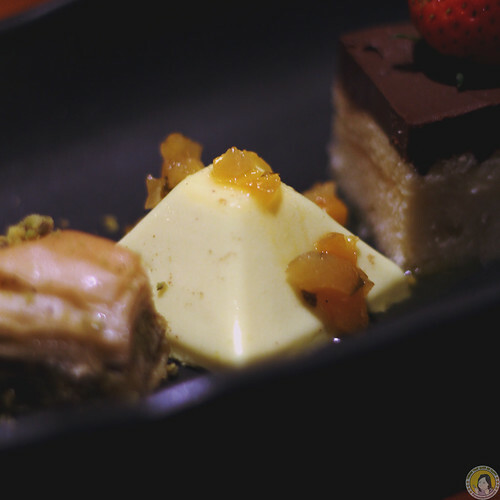 You surely don’t want to miss our Middle Eastern mouth-watering desserts including Turkish ice cream stall. 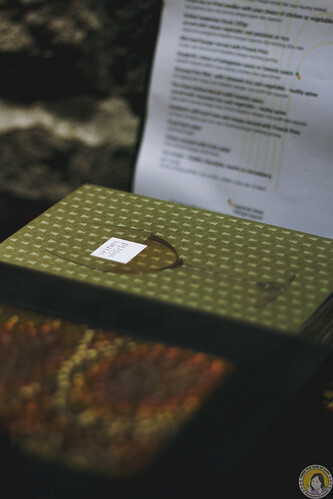 Available at 375k++ per person.